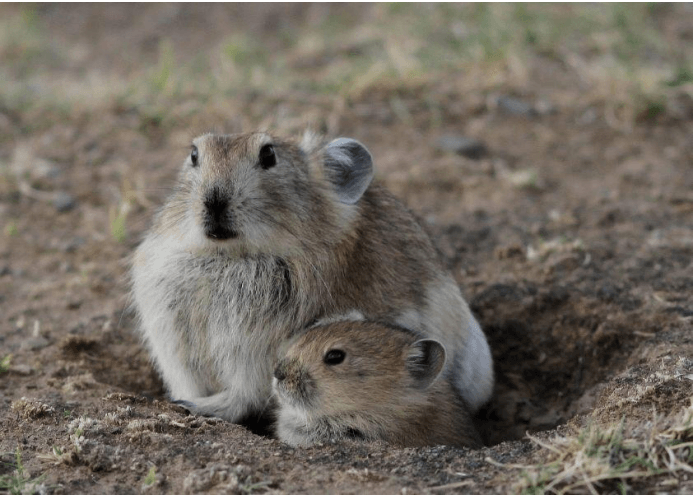 These findings are described in the article entitled Independence between coping style and stress reactivity in plateau pika, recently published in the journal Physiology & Behavior (Physiology & Behavior 197 (2018) 1-8). This work was conducted by Jiapeng Qu from the Chinese Academy of Sciences and Qinghai Provincial Key Laboratory of Restoration Ecology in Cold Region, Quinn E. Fletcher from the University of Winnipeg, Denis Réale from the Université du Québec à Montréal, and Wenjing Li and Yanming Zhang from the Chinese Academy of Sciences. The concept of personality originates from a child’s physiology. At the initial stage, scientists found that different children showed distinct behavioral responses to challenges, and these responses were relatively stable over time and contexts during their lives. Like the Chinese mythology said, the child is a father to the man. In 2007, Bell A.M. introduced this concept into animal behavior and suggested that animals may also have personality. Since then, animal personality has become more and more popular. In 2016, Pennisi E. wrote “The power of personality,” summarizing that personality could be found in animals from birds to lizards to spiders to mammals, etc. Individuals exhibit consistent differences in behavior that could shape the fate of their species via distinct coping styles to their environments. But, whether the behavior correlated with physiology to cope with challenges is still unclear. The Tibetan Plateau is an amazing region; it is the kingdom of wildlife. As its cold, hypoxia, and harsh environment, biota living in these regions have evolved specific strategies. More and more scientists come to Tibetan Plateau to study the evolution and adaption. The plateau pika is a keystone species on the Tibetan Plateau. It has evolved with the uplift of the Plateau. Over a long-term evolution process, plateau pika have formed a specific life history strategy. Nowadays, there are lots of studies on pikas, especially focus on the evolution and adaptation to the plateau environment, which is cold, harsh, hypoxic, etc. Dr. Jiapeng Qu has focused on the life history and behavior of plateau pikas since 2005. Based on the long term mark-recapture experiment, he found the plateau pika has relatively stable individual differences of behavior in the open population, i.e., personality. Qu’s team, cooperating with Professor Denis Réale from the Université du Québec À Montréal and Dr. Quinn from the University of Winnipeg, studied the personality of plateau pikas. The latest Pace Of Life Syndrome (POLS) hypothesis states that animals’ behavior are associated with neurophysiology (both sympathetic and pathetic reactivity). In “Independence between coping style and stress reactivity in plateau pika,” Qu et al. studied the personality and physiology of plateau pika to test the coping style of two-tier models, i.e., behavior, whether associated with stress reactivity or not. They repeatedly measured personality, heart rate, and plasma cortisol concentration. Personality traits were correlated with each other and with heart rate but were independent of both basal level and variation of plasma cortisol concentration, supporting the two-tier model. Personality and heart rate are associated, but they are independent to stress reactivity. The independence of coping style and stress reactivity at distinct axes can benefit animals to respond to environmental challenges in the harsh Plateau environment. This study suggests that when animals face the challenges, they may respond in one unique axis or two distinct axes, including behavior and (sym)pathetic reactions. Animals living in different contexts, facing distinct risks, can adopt different strategies to adapt to the specific challenges. The ultimate aim of behavior and physiology is to survive longer and live better. Jiapeng Qu currently works at the Ecological center, Northwest Institute of Plateau Biology. Jiapeng does research in Evolutionary Biology, Animal behaviour and ecology. Their current project is 'Reciprocal transplant experiment of plateau pikas on Tibetan Plateau'. Previous Post« Previous Can Ultrasounds Record Cyanobacterial Blooms?